Home » People & Places, Regional / International » Will Belizeans Abroad be allowed in the re-registration? 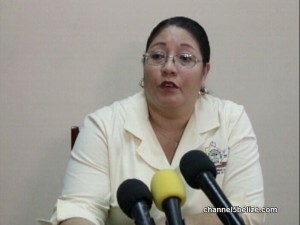 Will Belizeans Abroad be allowed in the re-registration? The organization, Belizeans United for Equal Rights at Home and Abroad, says that it is being disenfranchised from re-registering. Any eligible Belizean living oversees who wants to re-register, must first return to Belize and live in the country for at least two months. That is the law and there are no indications that it would be amended anytime soon. The organization has joined efforts with two diaspora organizations in Los Angeles to condemn what it describes as ‘the disenfranchisement of Diasporans currently on the voters list. Today Chief Elections Officer Josephine Tamai was asked about a slew of other issues relating to re-registration.